Dolce Garden Eau de Parfum is a delicious new flower blossoming in a garden where simple pleasures and spontaneity set the beat for a joyful dance during a lazy yet groovy afternoon. It truly is a joyful, solar aura blending citrus and cream. Oh, and the bottle… simply pretty! With Dolce Garden -- a floriental gourmand -- the perfumer Violaine Collas captures its every nuance. In the sun-kissed top notes, juicy mandarin, bright Néroli and airy magnolia express its radiance. Coconut essence, a unique natural extract of the fruit’s white flesh, accents the creamy freshness of its petals. A silky almond milk accord evokes the traditional sweets of Sicily. Enriched with vanilla absolute and sandalwood, it extends the exquisite sensuality of the frangipani note into the drydown. An exquisite balance of freshness and sweetness, the scents of a blooming garden. To express the playful femininity of Dolce Garden, the unique designed bottle, the fragrance and flower cap take on a pastel pink portraying the innate delicatessen of flowers in bloom. Twining blossoms petals, the outer pack showcases a soft touch finish. A thin black grosgrain ribbon, presented in an elegant bow, is the signature of the Dolce line. In contrast, the green “garden” signature underlines the fresh, natural facets of the new fragrance. 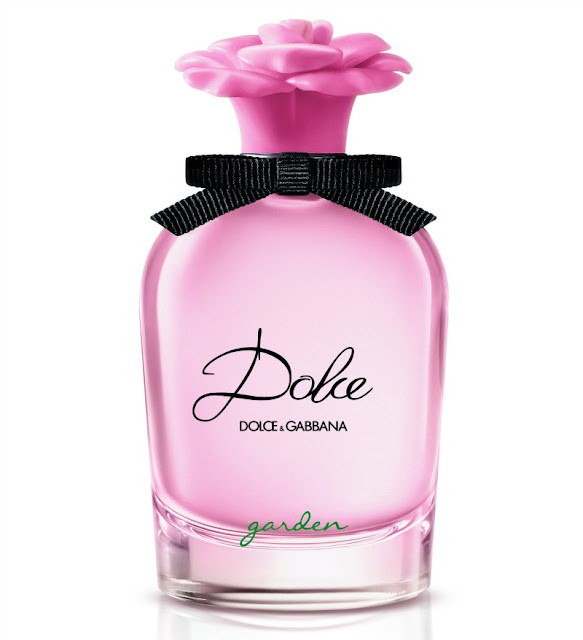 Dolce&Gabbana Dolce Garden Eau de parfum ($118 - 75mL/2.5 oz.) is available at select retail locations around the globe. To add to the drama of Dolce& Gabbana’s Couture show, Redken Global Creative Director Guido created a variety of sleek chignons and knots to anchor the designer’s stunning headpieces. 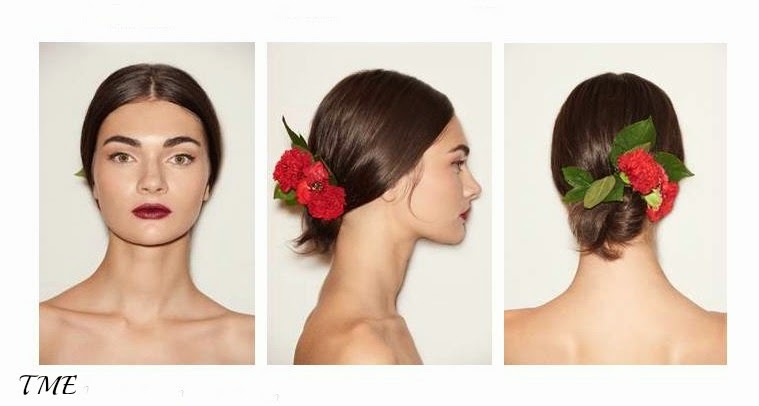 Inspired by the modern-day Spanish woman, Redken Creative Consultant Guido created a feminine, soft updo that captured the essence of the classic Dolce & Gabbana woman for their Spring/Summer 2015 show in Milan. Using Redken’s new wind blown 05 dry finishing spray to add airy texture to the hair before pulling it back into a loose bun with an effortless feeling. 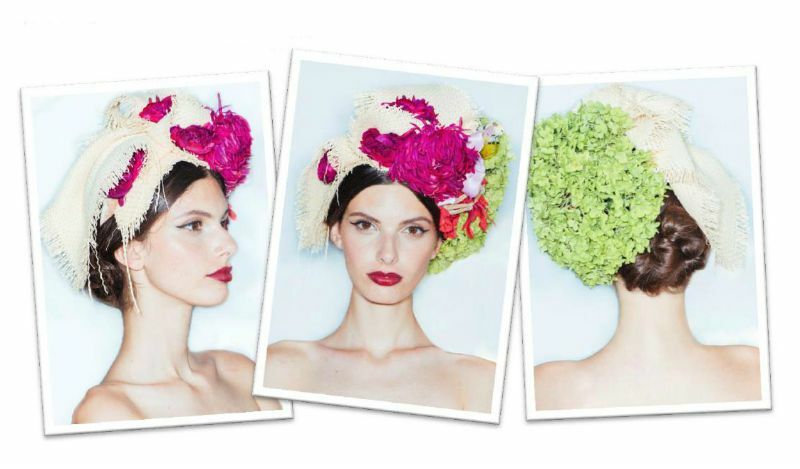 To finish the look, Guido adorned each model’s hair with rich floral arrangements and jewel-encrusted crowns, which have become a signature runway style look for Dolce & Gabbana. Apply a nicked-size amount of satinwear 02 prepping blow-dry lotion throughout damp hair and blow-dry smooth with a round brush. Create a clean center part with fingers. Pull hair over the ears and back into a loose bun. Twist the ponytail to create a messy knot and secure with small U-pins. 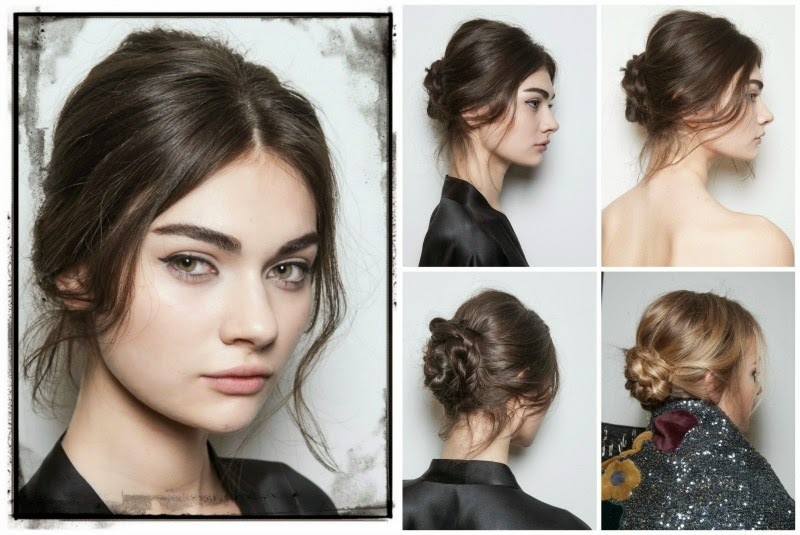 Leave a few bits of hair sticking out from the bun to achieve a softer look. Finish with another mist of wind blown 05 dry finishing spray. 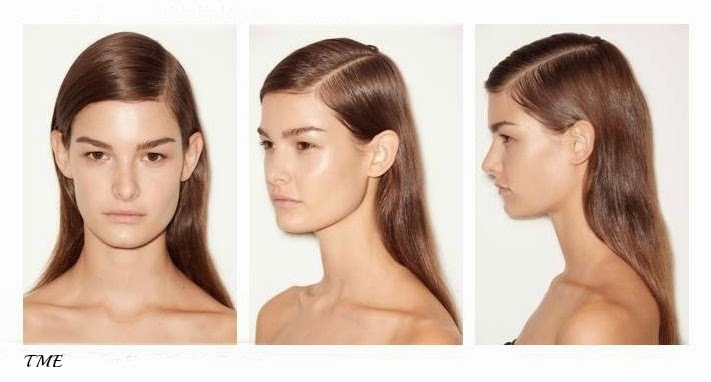 Redken Creative Consultant Guido captured the essence of the Jil Sander girl by creating a modern, androgynous hairstyle for the runway at the Spring/Summer 2015 show in Milan. To achieve this minimal, natural look, Guido used Pillow Proof Blow Dry express primer and satinwear 02 prepping blow-dry lotion to create beautiful texture throughout the hair before blow-drying and adding his finishing touches. Start with clean hair by washing with Diamond Oil Shampoo and Conditioner. Apply a nicked-size amount of satinwear 02 prepping blow-dry lotion throughout damp hair and blow-dry with a round brush. Then create a clean, deep side part. 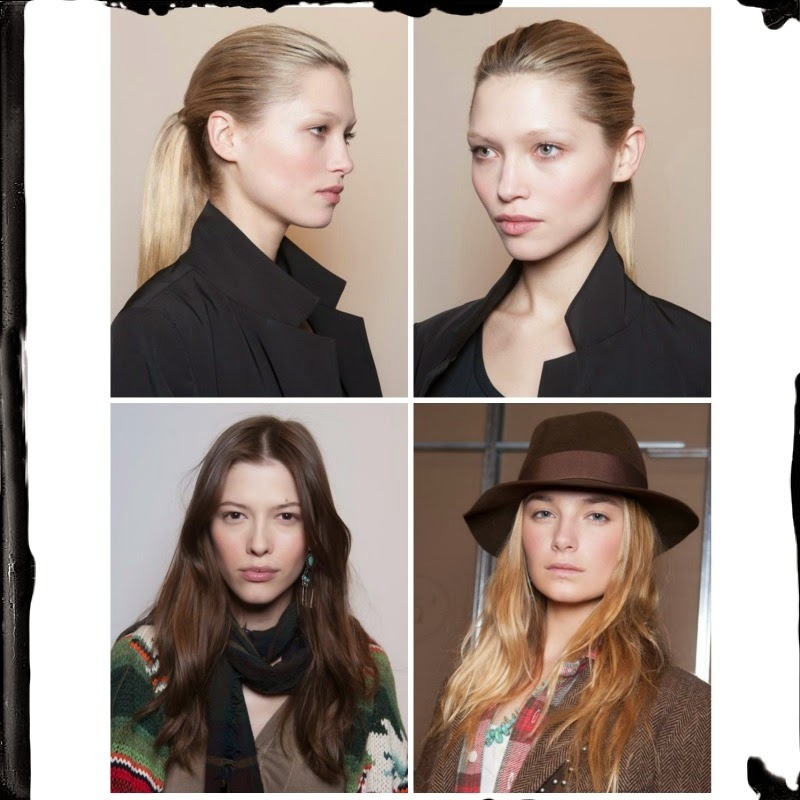 Tuck the hair behind the ears to achieve a natural finish. 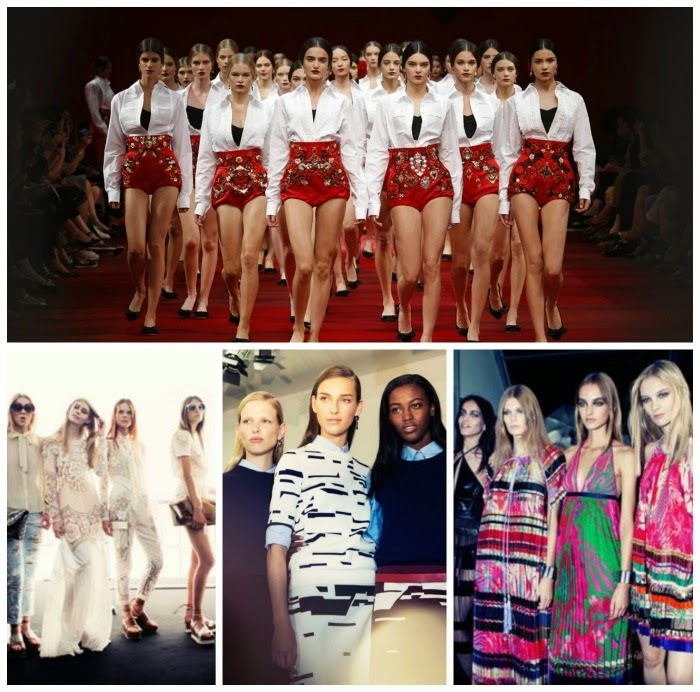 Redken Creative Consultant Guido created rich, natural hairstyle for Roberto Cavalli’s Spring/Summer 2015 show in Milan. To achieve this fresh-from-the-salon look, Guido used Pillow Proof Blow Dry express primer and satinwear 02 prepping blow-dry lotion to blow-dry the hair smooth, but leaving the length natural for a rich, luxurious finish. Create a center part with fingers, leaving the length of the hair natural.